Conveniently located in the city centre, within walking distance from the main city square and close to public transport! 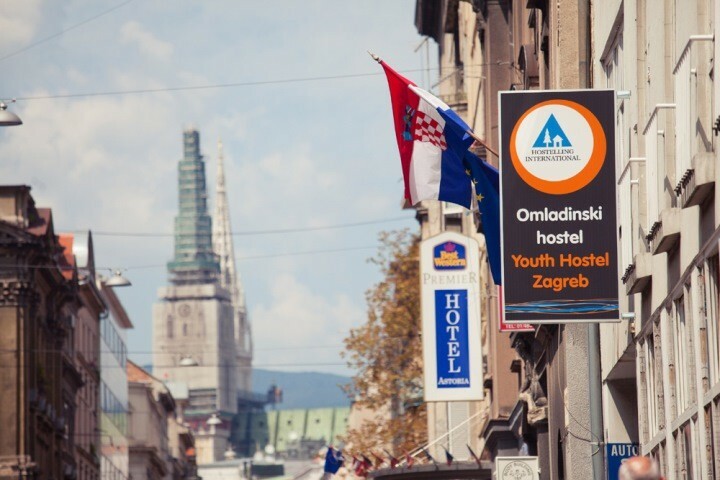 HI Hostel Zagreb previously known as Youth Hostel Zagreb is in a fantastic location in the centre of the city, just 600m from the main city square only 5 minutes from a train station and tram stop. 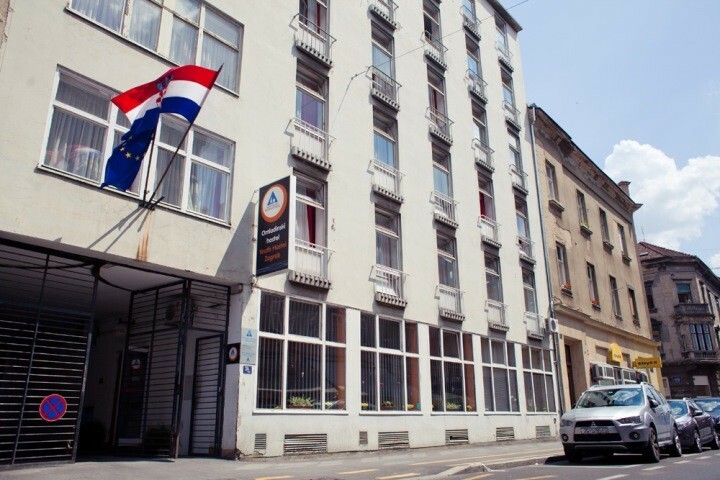 This Zagreb hostel is open 24 hours and offers a comfortable, modern and friendly atmosphere; the ideal base to explore this wonderful city. Inside the hostel you’ll find a range of facilities including Internet access, common room with TV, parking, lockers and free city maps. Please note that Youth Hostel Zagreb doesn’t have a kitchen. Zagreb is the capital of Croatia and is the cultural, economic, cinematic, sporting and governmental hub of the country. Offering visitors cultural events and festivals, friendly locals, historic sights, plenty of restaurants and various theatres, there’s also a lively young nightlife and lots to see and plenty to do. 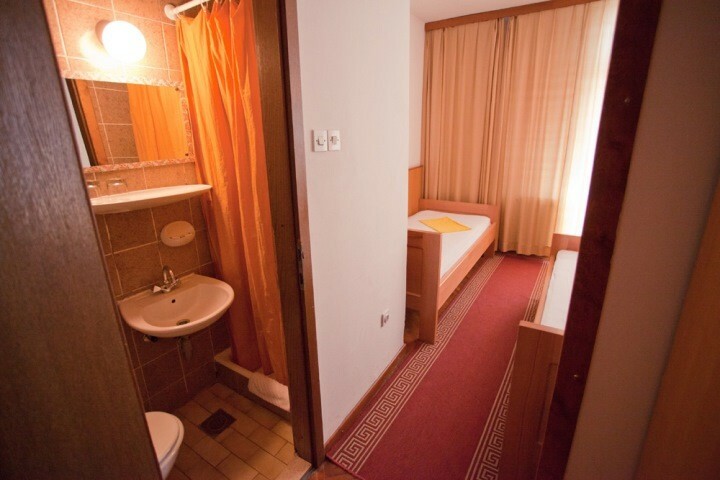 A non-member supplement of EUR 1.35 per person per night is payable on arrival at hostel. 17km from airport. When you exit the airport terminal you will see Croatia Airlines shuttle busses that will take you to the Main Bus Station (the price of the bus ticket is 30 00 Kunas and the ride takes approximately 30 minutes). From main bus Station you can take a train or go on foot. PUBLIC TRANSPORTATION - take tram No. 2 or No. 6 (ticket price is 10 00 Kunas on any Tobacco) for 3 stops to the Main Train Station. When you exit the station turn right and walk to the Petrinjska street (second street to the left). Then walk 200m to the street number 77. ON FOOT(15 min) - walk towards the railway overpass then take a left turn on Branimirova street and keep on walking straight for approximately 10 minutes until you see Petrinjska street on your right side. Then walk 200m to the street number 77. 1 km from Main Bus Terminal. PUBLIC TRANSPORTATION - take tram No. 2 or No. 6 (ticket price is 10 00 kunas on any Tobacco) for 3 stops to the Main Train Station. When you exit the station turn right and walk to the Petrinjska street (second street to the left). Then walk 200m to the street number 77. ON FOOT(15 min) - walk towards the railway overpass then take a left turn on Branimirova street and keep on walking straight for approximately 10 minutes until you see Petrinjska street on your right side. Then walk 200m to the street number 77. 0.3km from Main Train Station. When you exit the station turn right and walk to the Petrinjska street (second street to the left). Then walk 200m to the street number 77.